Rajasthan as a state is culturally and geographically rich. Jaipur itself is among the fastest growing city in the nation making amazing opportunities in the real estate sector. Marwar have worked extensively for over 15 years and with that experience and professionalism we make sure that your project gets the best possible location at the best possible price. We have our circuits expanding into every direction from Jaipur making us really good at what we do. All said, we assure you that we will try our best to give your project a positive beginning. Achrol is a town on main Jaipur-Delhi road just ahead Kukas, at achrol area huge development of Universities and industries like Amety University, mahatma Jyotirao Phule University, Niims Medical College and University etc. So many hotels and resorts here. Best location for any type of commercial activities. Khatu Shyam Ji is a very sacred place it is crowded by the divoties throughout the year. It is 80 Kms. far from Jaipur, and 25 Kms from Ringas area and from main Jaipur to Sikar Highway. The area around it is pleasant and green without any pollution. Ajitgarh is one of town of Sikar District, only 17 Km. from main Jaipur-Delhi highway or Shahpura tehsil, approx 75 Km. from Jaipur. Delhi road is a one of the best part of Jaipur as per development and geographic status like mountains, so many resorts there, its 8 lane highway (Jaipur-Delhi). Also this area having ground level water, greenery and mountains are create natural seen. Some industrial area's like-Kukas, Kant Kalwar, Universities-Amity,NIIMS, Arya,Shankara etc. Industries-Like Hero Honda, Azad Coach etc. Gokulpura Jaipur is a best destination for living due to its easy approachable area from all Jaipur, its very close to Kalwar Road and Khirni Phatak Jhotwara. Also connect to Hanuman Nagar Extension and Vaishali Nagar area. All market facilities,Schools,parks are available here. Dudu is a one of a tehsil headquarters of Jaipur, situated on main Jaipur-Ajmer highway, between Jaipur and Ajmer or we can say that dudu is a center point of Jaipur & Ajmer. Due to its location dudu will develop fast, because within 40 km. from Kishangarh (One of marble mandi of Rajasthan) and in Kishangarh also start a airport. Ajmer highway is a six lane highway and from Jaipur to Ajmer so many manufacturing units, industrial area's and townships here. Coming future is bright of dudu. Thanagazi is a one of tehsil of Alwar and situated on main Alwar -Jaipur highway via Sariska Tiger den, so many historical places near by thanagazi like Ajabgarh, Bhangarh, Bharathari, Pandupol etc. As per farming this is a best location. Chandwaji is a Village on main Jaipur-Delhi Express Highway and Delhi road, it's 40 Km. from Jaipur towards Delhi. At Chandwaji some hotels and resorts already operational and Kant Kalwar RIICO also there, some educational institutes like Pratap University, NIIMS,Amety etc. also in Chandwaji area. At Chandwaji full ground level water. Kala Dera Pin code is 303801 and postal head office is Kaladera . Khatiyon Ka Bas ( 3 KM ) , Narsingh Pura ( 4 KM ) , Kanarpura ( 4 KM ) , Anop Pura ( 4 KM ) , Patti Sitarampura ( 4 KM ) are the nearby Villages to Kala Dera. Kala Dera is surrounded by Amber Tehsil towards East , Jhotwara Tehsil towards South , Sri Madhopur Tehsil towards North , Sambhar Tehsil towards west . Reengus , Sri Madhopur , Jaipur , Sambhar are the near by Cities to Kala Dera. 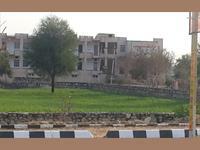 One of the most comfortable areas in Jaipur, Sikar Road has some great Apartment, Villa and Plot for sale. Sikar Road is surrounded by developed areas such as Muralipura, Daulatpura, Harmada, Jamna Puri, Vidhyadhar Nagar and Vishwakarma Industrial Area. 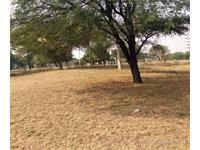 Overall 10 Builders are providing Apartment, Villa and Plot projects for sale in Sikar Road. The top builders are Suncity Projects, Apeksha Group, Gurupragya Infra, GHP, Ashiana, Coral Group Project Developers, Dhanuka Group, Manglam Group, Om Sokhal Developers and Larica Group. Sikar Road has many well known schools and Hospitals. Key Schools close to Sikar Road are Gramoday Shikshan Sansthan Sr. Sec. School,Jaipur, Ekalavya International Academy Udaipuria, Happy Point International School, Kiran Vidhya Mandir Ucch Madhyamik Vidhyalaya, NK Public School, Sikar Road, GOVERNMENT SECONDARY SCHOOL BHEROKHEJADA, Akash Public School, Dipshika School, Mission Public School, Gurukul Public School, Sunrise Public School, Kalpana Public School, Laxmi Narayan Sain, The Santa Kidz, Govt.Primary School Mansarovar, Pooja Public School, Manish Public School, Manish Public Senior Secondary School, CHOMU PULIYA and Shree Harmara Public School. Key hospitals to this locality are Swarangiri Medical & provision store, Chetna Homeopathic Hospital & Research Centre, Sharma Medical & Provision Store, Om Dental & Genral Hospitl, Mahadev Medical, Jyoti Chest & General Hospital, Dirghayu Hospital, Unik Medical Store, Rama Medical & General Store, Mohan Vatika, Yash Raj Hospital and Shri Shyam Hospital. You can find projects in Sikar Road from different builders. City by Ganpati Builder is available at lowest rate of Rs. 444 per sq ft in Sikar Road, whereas Sunshine Kalyan by Dhanuka Group is available at highest rate of Rs. 6,500 per sq ft.
Diggi Malpura road is an adjoining road of Sanganer area, on this road most of JDA colonies are developed by JDA as Rohini Nagar-1,2 and 3rd, priyansi nagar etc. Diggi road is a state highway and link Jaipur from Kalyan Dhani, Dudu,Phagi area's. Jhotwara area is well-known for army officers and Soldiers; maximum belongs to services in various departments. 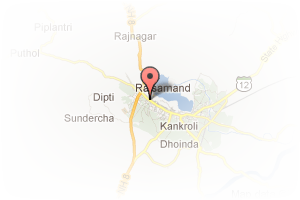 Distance from Jhotwara- Railway Station-4 Km. Sindhi Camp is the inter-state bus terminal of Jaipur city in India. It is located along Station Road in Jaipur. It is Central Bus stand for Rajasthan State Road Transport Corporation (RSRTC). Buses are available for Rajasthan, Delhi, Haryana, Uttar Pradesh, Uttarakhand, Gujarat and various other locations. Hanuman Nagar is the best location for residential activity due to it's the part of Vaishali Nagar(One of the Jaipur's posh colony. At this area most of MNC's offices and all bank branches,commercial malls,leading showrooms,hotels and well connected to Railway Station and Bus Stand. Jhotwara Road is the best connecting road from all locations of Jaipur like Railway Station, Main Bus Stand,Civil Lines,C-Scheme, Chandpol etc. On this road so many Township and Commercial Malls, also high populated area surrounding this road, from Jaipur City to Ansal Sushant City all area developed. Nawa is the one of tehsil of district Nagpur, only 90 Km. from Jaipur(The capital of Rajasthan) on main Jaipur-Jodhpur Highway. Nawa is the famous for Salt and very short Arial distance from Shambhar, some salt refineries stable plants in this area. Nawa salt is best for eating in compression of Gujarat salt due to its ingredients is best for human bodies like Calcium etc. Neemrana is an ancient historical town in Alwar district of Rajasthan, India, situated at 122 km from Delhi on the Delhi-Jaipur highway in Behror tehsil. 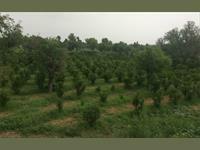 It is situated in between Behror and shahajahanpur. Neemrana is an industrial hub. This area is also known as Raath region, It is the site of 16th century hill-fort occupied by Chauhans till 1947. The erstwhile ruling family is considered to be the direct lineage of Prithviraj Chauhan. Mirza Ismail Road, popularly known as M. I. Road, is one of the main roads in Jaipur city in Rajasthan state in India. The road runs from Sanganeri Gate to Government Hostel. There are several landmarks on the road namely Sanganeri Gate, Ajmeri Gate, Rajasthali emporium, Niros restaurant, Raj Mandir Cinema, Jaipur and GPO. Address: Fortune Tower, Umrav Vihaar, Vaishali Nagar, Jaipur, Rajasthan, India. 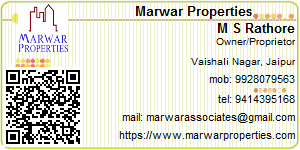 This Broker Profile page for "Marwar Properties" has been created by PropertyWala.com. 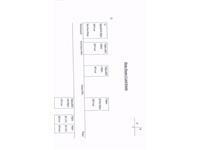 "Marwar Properties" is not endorsed by or affiliated with PropertyWala.com. For questions regarding Broker Profiles on PropertyWala.com please contact us.